In this comprehensive 7 night classic tour, you’ll see everything from the grand monuments of Pyongyang to the rugged mountains of the North and pristine beaches of the east. 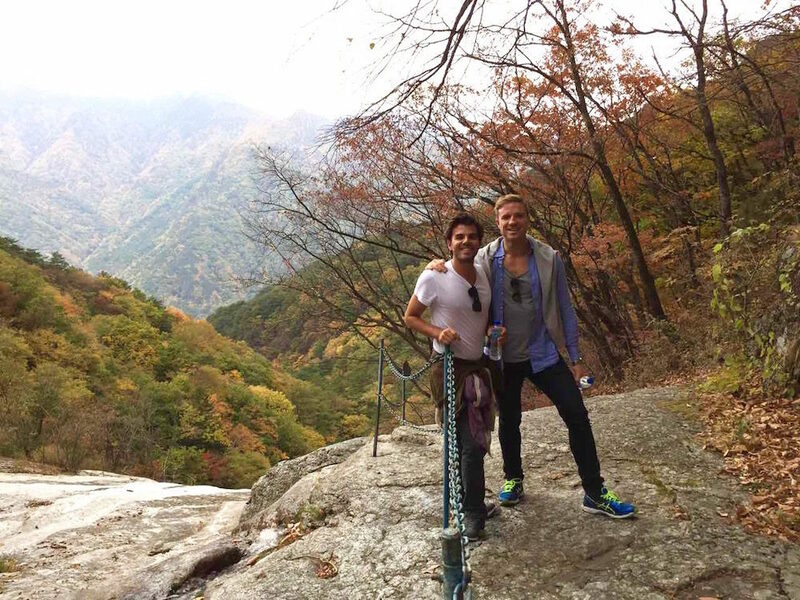 All the while traveling through the remote countryside and taking in the raw beauty of Korea. We start this tour with a look at the ancient history of Korea to present day division in one fascinating trip through the city of Kaesong. In Pyongyang, ride the Pyongyang metro, see the USS Pueblo and the Tower of Juche Idea. 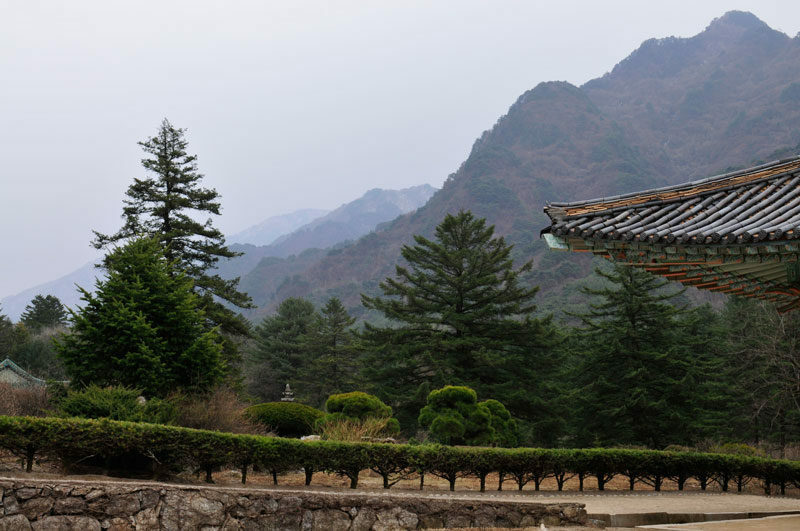 Visit the International Friendship Exhibition, a national treasure house that is the biggest and grandest of its kind in the entire world, in the Myohyang Mountains as well as see the ancient Pohyon Temple built when Korea’s national religion was Buddhism. End the trip with a journey all the way east to the city of Wonsan for a dose of local life and fresh seafood on the pier. This will be one life-changing week. *NOW running every Friday – Thursday from April to the end of October at group rates. Click “Choose your own dates” at checkout and let us know which Friday – Thursday you want in the notes section. Rooms come standard with two twin beds. If signing up with a companion and sharing a room, the double rate applies. If requesting your own room, single rate applies. If sharing is requested, we do our best. But if we cannot, single supplement fee applies. 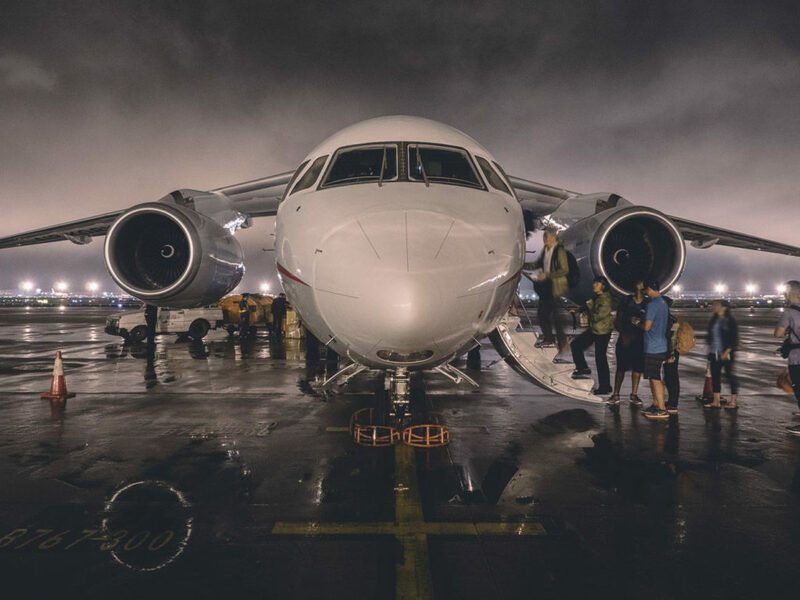 Meet us at 10:00pm: Head to the Air Koryo counter at the Pudong International Airport to check in for 12:30am Friday departure to Pyongyang. Approximate arrival into Pyongyang is at 4:00am. Our local tour guides greet you at the airport. We’ll then check in at the Koryo Hotel. Overnight at the Koryo Hotel. 9 AM: Take a morning drive through the countryside to the historic city of Kaesong. We will head for the DMZ where we’ll hear from our guides a perspective of the Korean War that often gets discredited or unheard. 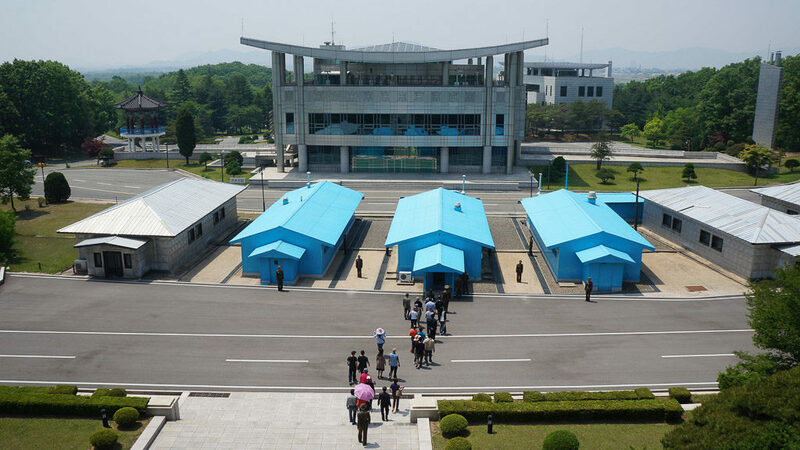 At the DMZ, explore Panmunjom, shake hands at the exact place that the Armistice Agreement was signed between UN forces and the DPRK, and wave hello to the South at the blue houses in the Joint Security Area. Afterward, we will head to the Koryo History Museum, a UNESCO site, to learn about the Koryo Dynasty (where the name Korea originates). You’ll also have a chance to pick from the most varied range of postcards in the country at the Koryo Stamp Shop. For lunch, enjoy Pansanggi, a historic Kaesong cuisine traditionally served for royalty. Stop at the original Sonjuk Bridge, a UNESCO site. On our return to Pyongyang, visit the Grand People’s Study House, an extensive library used to further education and the heart of study on the national Juche ideology. The viewing deck here provides a great photo opportunity of the Kim Il Sung Square and Taedong River! For dinner, we will have Korean bibimbap. After breakfast, visit the newly renovated Victorious Fatherland Liberation War Museum and the USS Pueblo in its new spot (the “American Spy Ship” captured in 1968). We will head over to the Mansudae Grand Monument, an important site famous for its large, bronze statues of President Kim Il Sung and Chairman Kim Jong Il. It is customary to bow and lay flowers here. After lunch, we will go walking on Moran Hill, a park place buzzing with festivities as locals celebrate the Victory Day with picnics and dancing! Learn about the DPRK’s defining ideology, the Juche philosophy, on a visit to the iconic Tower of Juche Idea. For those who wish to take the lift 150-meters to the top, you’ll enjoy the best views in Pyongyang city! We’ll have a photo stop at the massive Monument to Party Founding, built to commemorate the 50th anniversary of the foundation of the Workers’ Party of Korea, recognizable by the communist hammer and sickle. Head deep underground to take a 5-stop ride on the Pyongyang Metro, the deepest metro in the world, filled with mosaics, monuments, and plaques commemorating the DPRK’s revolutionary history. Stop at the Arch of Triumph, the world’s largest triumphal arch. From the top, we will get our first panorama view of Pyongyang city! Take part in the day’s festivities which will include an unforgettable mass dance event in Kim Il-Sung Square where you’ll even get to join and celebrate with the locals if you wish. We’ll be attending any other festivities that are available on the day. Get the chance to taste local Korean draft beers at the Taedonggang Microbrewery. We will start the morning off with a visit to the Kumsusan Palace of the Sun, the grand mausoleum where the late leaders lie in state inside glass sarcophagi (closed in May and June; formal dress required). Take a walk in the Kim Il Sung Square, the 3rd largest public square in the world and home to many of the North Korean military parades broadcasted internationally during important holiday events. Take a stroll through the city to the Foreign Languages Bookshop which provides the best chance in the DPRK to pick up postcards, publications, posters and other trinkets that make perfect souvenirs. After lunch, we’ll begin our drive to Nampho, an industrial port city on the west coast. We’ll get a good look at rural North Korea on the way. Visit the Chongsanri Cooperative Farm, part of a system of collective farms catering to the agriculture needs of surrounding communities. We will meet a local caretaker here, see inside their home and visit the impressive bronze monument of President Kim Il-Sung with local farmers. We will stop at the Kangso Mineral Water Factory, a famous name in North Korea, to get a glimpse into the workings of the local industry (pending availability). Then it’s onward to the coastline and the jewel of Nampho, the West Sea Barrage, a massive dam and tidal wall built in five years across an 8-kilometer section of the rough sea. This is an architectural feat known to all North Koreans. Return to Pyongyang for a farewell dinner. 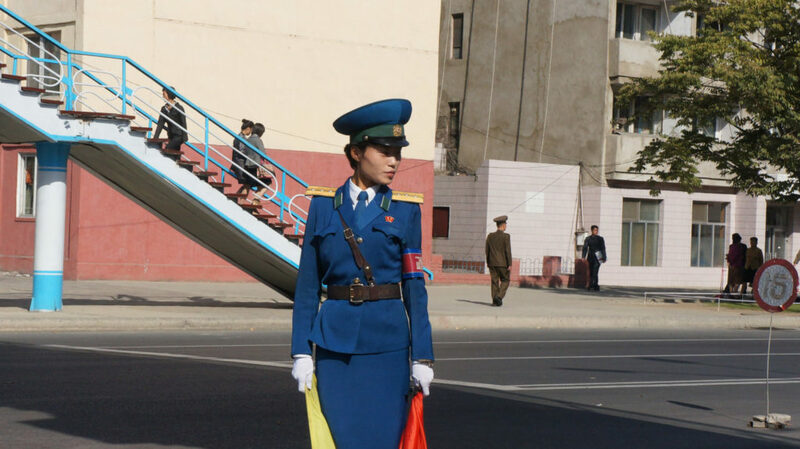 Today, we continue our exploration of Pyongyang life and society. Start at the Mansudae Art Studio, the most prestigious fine arts studio and gallery in the country. We recommend getting the ink block paintings here. We will then start our drive to Pyongsong, a satellite city of Pyongyang famous as being a hub of science and technology. We’ll then stop at the Konji-Ri Revolutionary Site, the headquarters to the Korean People’s Army during the Korean War. We’ll have lunch in Pyongsong before visiting Pyongsong City Square, the heart of the city and the site of large bronze monuments to the Great Leaders. We will then visit Pyongsong Primary School where we’ll drop in on an English class, witness a performance and get to challenge the children at ping pong. Continue our journey into Mt. Myohyang, a UNESCO designated “world biosphere reserve”. Take in the beautiful countryside of Korea and check into the luxurious Hyangsan Hotel for dinner and overnight. Visit the International Friendship Exhibition, a national treasure house that contains gifts given to the Great Leaders in over 150 rooms. At the top of the building, look out into the mountains and enjoy the views over tea/coffee. We’ll walk around the historic Buddhist Pohyon Temple, built in 1042 but rebuilt between 1441 and 1765. PM: Take a hike up to Manphok Valley (for those hiking up, there are handrails and carved out steps; please bring comfortable shoes). We’ll picnic in the mountains if weather permits. Journey back to Pyongyang and we’ll visit the Mangyongdae Children’s Palace, a lavish extracurricular facility for gifted children and one of the most striking pieces of architecture in Pyongyang! Overnight at the Koryo Hotel. This morning, we’ll depart for the east-coast port city of Wonsan. Take a short stop at the Sinpyong Tea house for coffee/tea and the fresh mountain air. Once we arrive in Wonsan, we’ll be greeted with a freshly caught seafood lunch in a local restaurant. We’ll first see the Revolutionary Sites that played a prominent role in the fight against Japanese occupation and the Korean War. Get a tour of the Songdowon Schoolchildren’s Camp, an international summer school for children. We’ll take a walk along the Wonsan docks and along the pier to the Jangdok Islet where you can buy seafood that was caught just seconds ago from local vendors and see the Wonsan skyline. It’s a popular spot for Wonsan residents and fishermen. (There’s a 1 Euro fee to be paid at the entrance.) 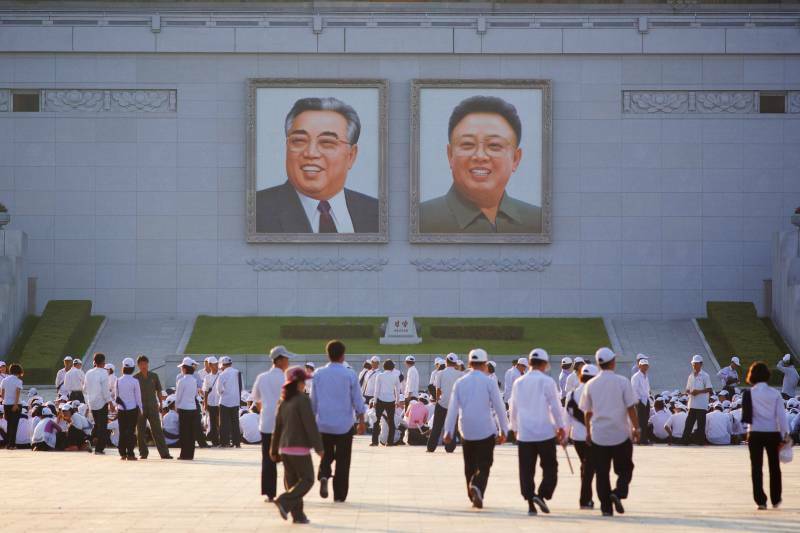 Visit Wonsan Square, where the cities bronze monuments to the Great Leaders are located. 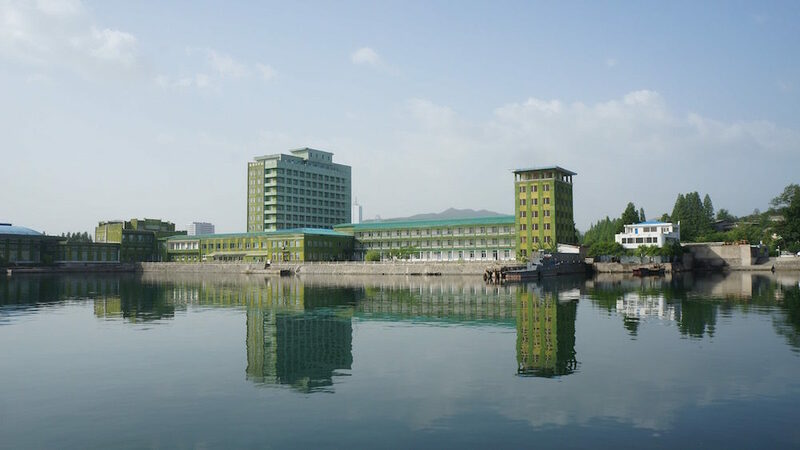 Overnight will be at the Masikryong Hotel, one of North Korea’s premier accommodations. This itinerary is subject to change at any time. Entrance fees are priced in Euros but RMB and USD accepted. See Terms and Conditions for our refund policy and other disclaimers.